Banning plastics scrap imports, such as in China, and the introduction of levies to combat plastic waste will spur the development of commercial recycling, according to Wim Roels, ceo of major plastics producer and recycler Borouge. Governments in more than 60 countries have introduced fines, with some even implementing bans, to reduce the amount of plastic wastes, according to a recent United Nations (UN) environment report. Roels believes that China’s import restrictions will increase virgin material sales in that country in the short term. But recycling capacity is still available in China and will remain so, he says. ‘We will see more Chinese waste being recycled rather than plastic waste imported. 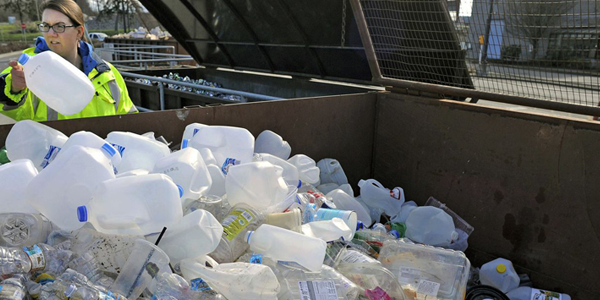 At the same time the waste will not just disappear and will go to other places for recycling. He expects more plastic waste to be retained within Europe and the US, encouraging domestic recycling. ‘Recycling or recycled material will become a stream of new material that will appear and you will it see basically on a global basis,’ he adds.